"We gotta walk the walk, if we actually believe that money has too much damn influence in Washington, then change starts right here in the Democratic presidential primary," she said. 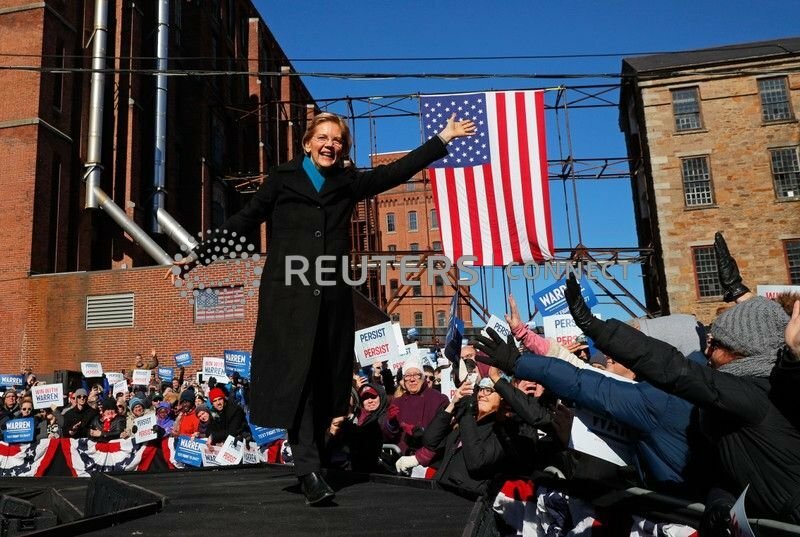 "We believe that Elizabeth Warren is the most electable Democrat and the best person to be president," said Adam Green, the co-founder of PCCC. Warren's heritage claims have dogged her since her first campaign for the Senate in 2012, and Trump mockingly refers to her as "Pocahontas." Trump's campaign described Warren as a "fraud." In a statement, his campaign manager Brad Parscale said: "The American people will reject her dishonest campaign." Warren and the other women running so far, including Senators Kamala Harris and Kirsten Gillibrand, are hoping to build on the success of women candidates who played a significant role in Democrats regaining control of the U.S. House of Representatives in November's congressional elections.